Marketed/Manufactured by Mahashian Di Hatti Pvt. 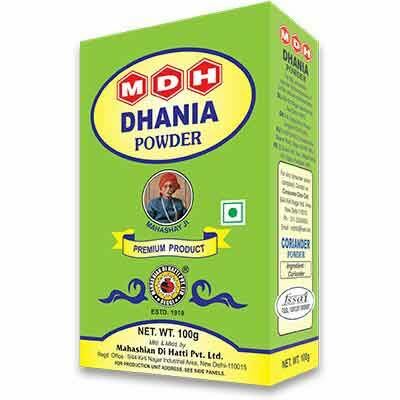 Ltd.
To Recieve updates and possible rewards for MDH Coriander Powder please sign in. To Recieve updates and possible rewards for Coriander Powder please sign in.